Just like a free lunch, there’s no such thing as a free sponsorship. Businesses want to partner with nonprofits when they know it will benefit their organization as well. Making the mental leap from “sponsorship” to “partnership” is an important step for nonprofit professionals looking for new funding, marketing, and engagement opportunities. 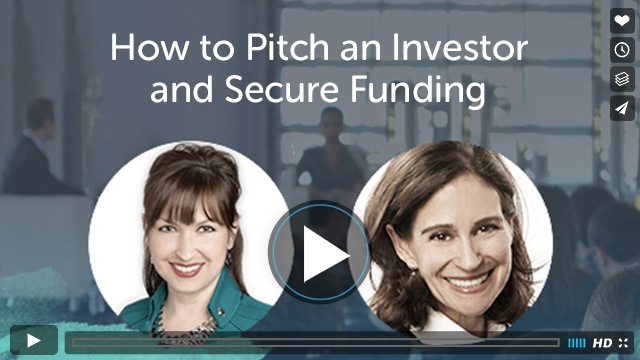 In the webinar “Corporate Sponsorships 101: How to Pitch an Investor and Secure Funding,” we talked through basic and advanced strategies with two women experienced in major corporate-nonprofit partnerships. Amy George, Senior Vice President of Giving, Marketing, and Communications at Mothers Against Drunk Driving (MADD) and Susan McPherson, founder and CEO of McPherson Strategies, delivered tons of insights and lessons to help you recruit and secure a partner, as well as foster a lasting fruitful relationship. Here are just a few of their insider tips. The first way to set your corporate partnership up for success is to understand that corporate social responsibility is no longer as simple as signing a check. To maximize the benefits for both your nonprofit and potential partners, identify what a company has to offer other than money. After all, any business can write a check. To make the most of this relationship, you need to identify and ask for other types of support. 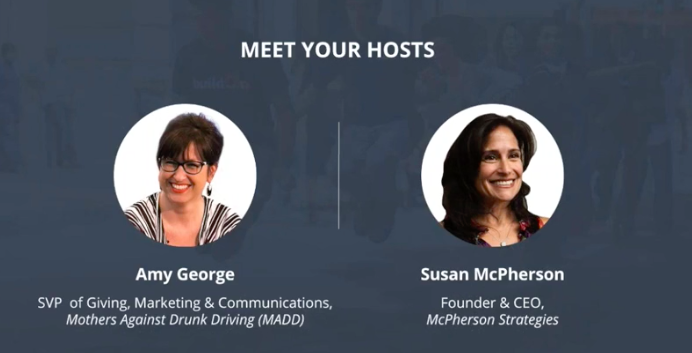 One of MADD’s biggest wins in their multi-year partnership with Uber, explains George, was when the ride-sharing company promoted MADD in an email to their 10 million subscribers. “They sent one email and we made more in 72 hours than we did in the first six months of the year,” said George. It wasn’t Uber’s money that provided this win, but the reach and audience they were able to give MADD. “They sent one email and we made more in 72 hours than we did in the first six months of the year. Naturally, since a corporate partner’s audience can be such a big asset, it pays to do some homework to identify your best prospects. In fact, you should also think through your nonprofit’s audience to determine what kind of exposure you can offer a company. One reason MADD’s partnership with Uber makes sense is because the average Uber user is 21 to 34-years-old, a demographic with higher rates of drunk driving. 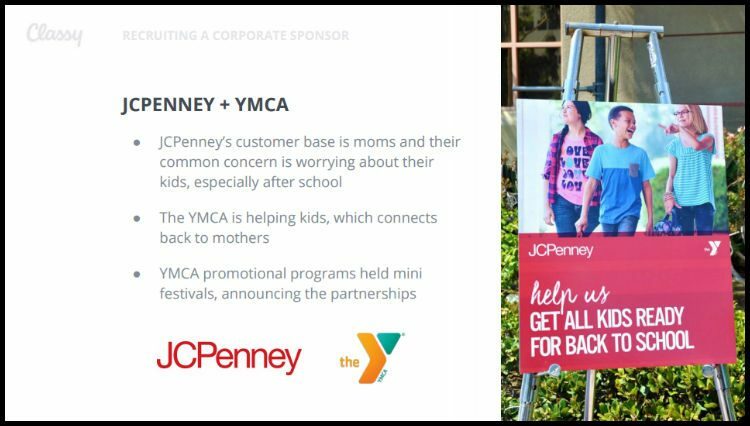 When they worked with JCPenney, McPherson Strategies recognized that the department store’s primary audience was mothers, who lean toward causes related to children. That was one reason McPherson Strategies paired JCPenney with YMCA to provide afterschool programs for children. For both nonprofits and for-profits, the right partner is often the organization with the right audience. “It is not what the company can do for you, but what you can be doing for them. 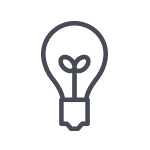 Nonprofits are often stereotyped as slow to adapt. Meanwhile, large corporations can struggle with bureaucracy. That’s why McPherson and George emphasized the importance of nailing down your points of contact and the ultimate decision-maker. It’s a lot easier to move forward on an initiative if you know who who you have to convince and who you have access to. “I always offer a meeting between our CEOs…When MADD has the most success in partnerships, it’s really embedded at the top. Within your own team, establish a point person to lead your partnership. This is who will be in direct communication with your partners. Early on, decide who at your organization will make decisions and establish who is the decision-maker at the for-profit company. When thinking about corporate partnerships, many of us think only of what a few powerful people at the business can offer to a nonprofit. But the entire staff of your partner organization can become allies for your cause. Nonprofits that rely on volunteers can recruit small and large groups for one-time or recurring shifts. Since the estimated value of volunteer work is $23.56 per hour, a large pool of potential volunteers is a huge asset. Furthermore, now that online peer-to-peer fundraising is simpler and more popular than ever, employees at your corporate partner can also raise big money. For example, buildOn, a longtime Classy partner, asked our employees to fundraise to build a school. 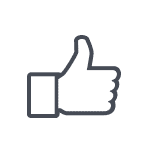 Dozens of our employees signed up and created fundraising pages. In a couple of months, they raised more than $122,000 by reaching out to their networks and getting creative. 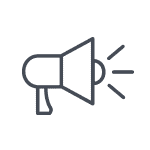 Even if your employee giving or fundraising campaign isn’t quite as successful, you also stand to gain tons of new donors and even a few devoted advocates. The relationship may start through an employee giving campaign, but great stewardship can lead to years of loyal support. While corporate partnerships usually aren’t as simple as just sending a check, the opportunities and potential they offer can be well worth the effort. To get in-depth strategies and tips from Amy George and Susan McPherson, watch the full webinar.